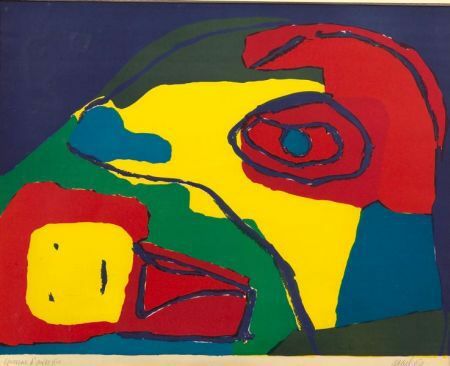 La Maman aux Yeux Bleus, 1969, edition of 120. Signed and dated "Appel 69" in pencil l.r., inscribed "epreuve d'artiste" in pencil l.l. Color lithograph on paper, image size 19 1/2 x 25 in. (49.5 x 63.5 cm), framed. Condition: Subtle toning, not examined out of frame. Malvin Marr Albright (American, 1897-1983) Victoria. Pierre Alechinsky (Belgian, b. 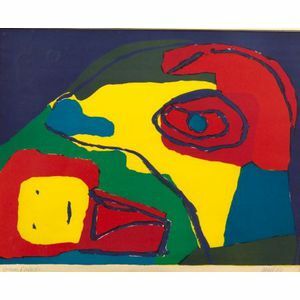 1927) Untitled. American School, 20th Century A Street in Charleston.